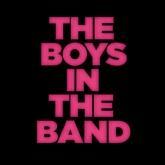 The Boys in the Band centers on a group of gay men who gather in a NYC apartment for a friend's birthday party. After the drinks are poured and the music turned up, the evening slowly exposes the fault-lines beneath their friendships and the self-inflicted heartache that threatens their solidarity. A true theatrical game-changer, The Boys in the Band helped spark a revolution by putting gay men's lives onstage -- unapologetically and without judgement - in a world that was not yet willing to fully accept them.